Before we dive into this review of the Audeze Mobius (pronounced ‘Aww duh zee’ by the way), allow me to set the stage if you will. As one of the more outspoken ‘Tech-junkies‘ of Scholarly Gamers, I felt that it was my responsibility to begin introducing hardware reviews into our writing portfolio. Devising what to review first however, presented me with quite the conundrum. It is common knowledge that I am passionate about PC hardware, but reviewing a motherboard or another core component would likely be of little interest to the console gamers within our community. Likewise, most peripherals for consoles are platform specific; so once again this presented me with a problem. What type of hardware should I review for this ‘maiden voyage’ so-to-speak? Would it be possible to review a piece of hardware that all gamers — regardless of platform — would potentially be interested in? Could I find a product that many gamers may have possibly never heard of, but would not be able to stop talking about it after learning of it? To put it simply, of course I could. For context, I have been an audiophile for decades. Whilst many people enjoy music, audiophiles are committed to high-fidelity sound reproduction; we strive to capture the experience of a live musical performance — regardless of which genre you prefer — within the comfort of our own home. This is unfortunately a very expensive hobby, so admittedly this aspect of my life has been on hiatus for quite some time. But then the Audeze Mobius came along, reigniting this passion of mine; it is anything but simple, and surprisingly affordable for anyone wishing to enter the world of audiophilia. Audeze began their phenomenal journey in the most humble of ways, the two founders began crafting headphones at night and during the weekends within their garage. Though I do not know the full details, they somehow became acquainted with an ex-NASA scientist who had developed a flexible circuit material designed specifically for use in spacecrafts. This material was surprisingly thin, exceptionally strong, and considerably flexible. These characteristics would make it perfect for use as a diaphragm in planar magnetic drivers —most standard headphones utilise mass-produced dynamic cone drivers —and could potentially be one of the greatest breakthroughs in headphone design. Fast forward to today, and Audeze has rapidly established themselves as a leader in audio innovation and performance. Audeze is partnered with Metropolis Studios, which is home to the best mastering engineers in the world—artists ranging from Queen to Lady Gaga have recorded and mixed their albums there—in order to continue the development of their headphones, microphones, and software. This company pushes the boundaries of headphone technology, but the cost of entry is not cheap. In fact, prior to the release of the Mobius, their most affordable headphones were their iSINE 10s. These in-ear headphones have a price-tag of $399 USD, whilst their flagship pair of proper cans, the LCD-4z will set you back $3,995 USD! 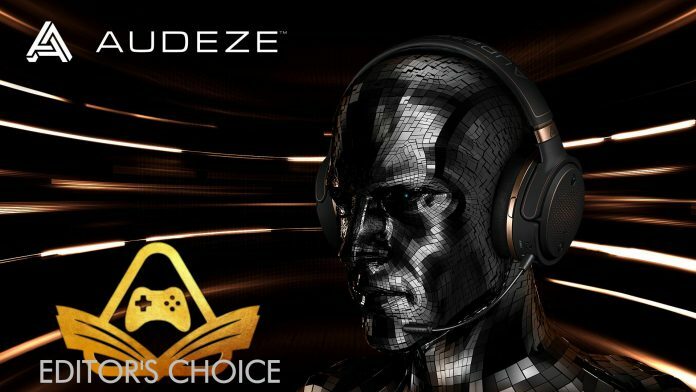 So when I learned that Audeze were launching a campaign on IndieGogo, for a gaming headset which would feature similar planar drivers that are contained within their more expensive headphones, for an early bird price of $249 USD, I knew I had to get on board; as did 4074 other early backers. As an early adopter I did not receive the finalised retail packaging, because the design had not been completed yet. 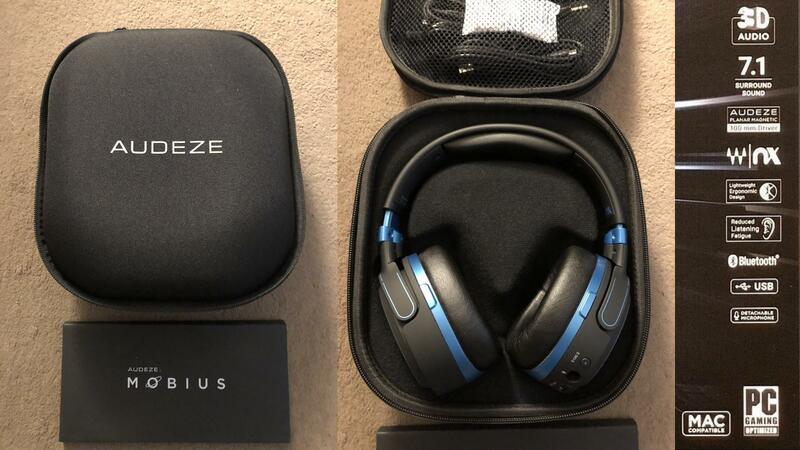 But I believe Audeze had the retail packages on display at EGX, where they also had exclusive tote bags available for free; I almost took a trip to Birmingham just to get my hands on one in fact. What I did receive for free however—due to the campaign achieving a stretch goal—was the Mobius Carry Case (pictured above), which is a $39 USD add-on if you wish to purchase it. The case itself is simple and functional, featuring a mesh compartment to store your cables and removable microphone, whilst the headphones themselves sit snugly within the molded recess. The case reminds me of the ones that were included with the Xbox One Elite controllers, and appears to provide ample protection for my investment during transportation. You’ve found the Audeze Mobius Immersive, Cinematic 3D Headphone! Don’t be intimidated. Don’t Panic. This two button, two wheel, planar magnetic, Waves Nx head-tracking enabled pair of cans represents the most technologically advanced head accessory on the market. Some might call it a fancy space hat, but this is Mobius. The entire booklet is as lighthearted as it is informative, and features wonderful hand-drawn artwork throughout. After reading the manual completely — yes, I am one of those people who always reads the instructions first — it was finally time to get my hands on a piece of tech that I had been anticipating for months. As you can see, I opted to go with the blue variant; but they also look stunning in their copper offering as well. I fully expected them to be relatively heavy, considering all of the technology that they contained, but was amazed at how light they are. This is no doubt where that spacecraft technology comes in, as they feel only marginally heavier than my normal pair of cans. The Mobius weighs in at 350g, which is potentially heavier than the style of headphone you may be to accustomed to; but when you consider than many of the ‘audiophile-grade’ headphones on the market are 400g and upwards, perhaps that helps explain why their relatively low weight surprised me. The build quality is exactly what I expected from Audeze, they feel robust and sturdy but are also exceedingly flexible. The headband can be twisted in directions that would usually result in a broken headset, and the cups offer a wide spectrum of adjustments that should fit snugly on heads of all sizes. The use of memory foam on the ear cups as well as the headband also ensure that the headphones fit snugly, whilst also proving to be exceptionally comfortable for long listening/gaming sessions as I later discovered. My first order of business was to connect Mobius to my mobile phone. If no cables are plugged into the headphones, the Mobius intuitively defaults to a Bluetooth connection. Pairing was quick and simple, just a brief double-tap of the power button, and my phone connected immediately. Now obviously I was expecting an exceptional listening experience, that should go without saying for hardware at this price point; but honestly, my mind was blown by the clarity and quality of these cans that first time I put them on. My ears could not believe what they were experiencing, my family tried to make sense of my facial expressions, and I tried my best to explain it, but I could not quite articulate the words in a manner that would do the experience justice. I passed them onward, so they could experience firsthand what I was trying to explain. It did not take long for their expressions to match mine; they ‘got it’. 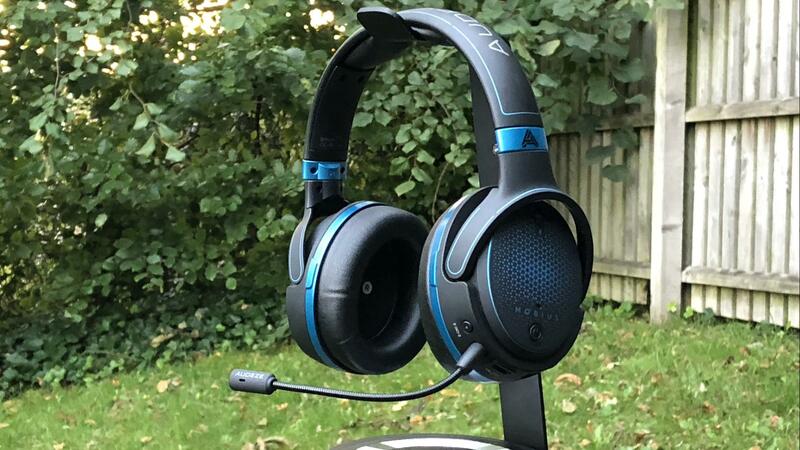 I could spend hours ranting and raving about the technology that features within these headphones; yes I know they are technically a gaming headset, but I refuse to call them that. That moniker is usually synonymous with an inferior listening experience that has no place in the world of audiophilia. 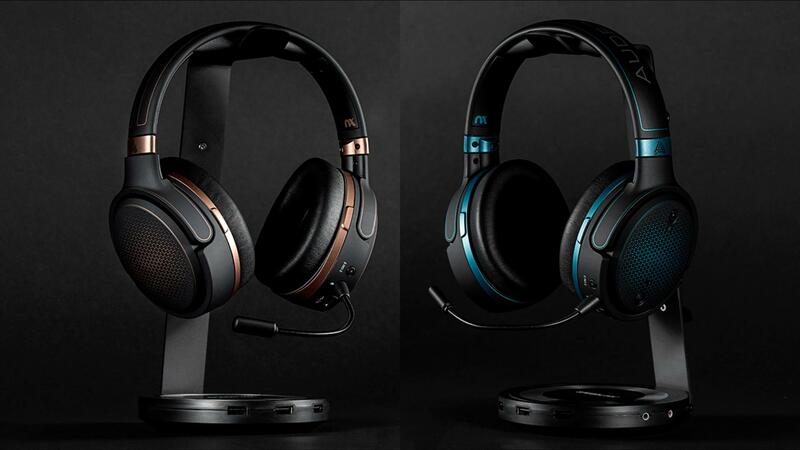 Even so there are many premium gaming headsets out there, many of which do indeed sound fantastic for a consumer-level product; once you have experienced a proper set of high-fidelity cans, you can never go back to ‘slumming it’ with a pair of those. It was for this very reason that I never used to game with headphones, instead opting for a gaming experience that utilised a 5.1 home theater setup. But as my gaming habits have evolved, as has my living situation, and of course my heavy use of Discord these days, I now predominantly game with headphones. With the Audeze Mobius, I can now have the best of both worlds. One of the biggest problems with headphones—and this might sound a little strange—is that you are fully aware you are listening via headphones. The experience tends to be considerably different to that of listening to music or playing a game with the audio emanating from a high-fidelity home theater. Keep in mind that when I mention high-fidelity, I don’t mean brands like Sony, LG, Bose, or even Denon; we’re talking about companies like Krell, Marantz, and Monitor Audio. 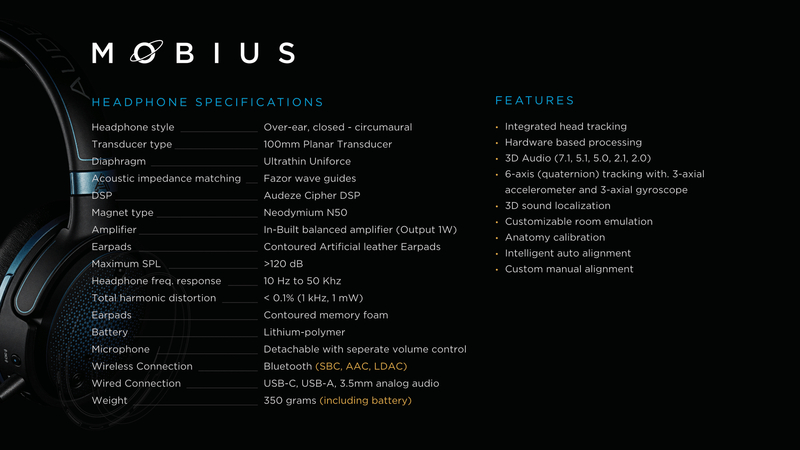 Look at the prices of some of those brands, and it will rapidly put into perspective why the Audeze Mobius is such a bargain; even if you purchase them at full retail price. Whilst I have no doubt you are familiar with the term surround sound, which features heavily throughout home theaters and several gaming headsets already on the market; Mobius is substantially more than that, as it features 3D cinematic audio and head tracking. As far as I know, it is the first headphone of this kind that has been specifically designed for gamers. Let me try to explain what this actually means. For music, these headphones are phenomenal. Regardless of your particular choice of music, whether that is Country, K-Pop, Metal, Dubstep, or Easy-listening; the end-result is mind-blowing. At this very moment I am listening to the OST for Destiny 2: Forsaken whilst I type, and these cans faithfully reproduce all the aspects of the orchestra; the booming bass of the drums and other percussion instruments, as well as the wonderful tones of the brass section. But admittedly, I prefer turning off the 3D features when I am listening to music or watching a film; as I find the soundscape to feel much richer with it turned off. I listened to music in a variety of ways: connected via USB (the Mobius comes with a USB Type-C cable as well as a Type-C to Type-A cable), via 3.5mm Aux (also included), and via Bluetooth. USB is clearly the optimal choice, as your PC will recognise Mobius as a set of 8 Channel headphones; but they still sound fantastic over the standard analog cable as well. Depending on your mobile device, the Mobius can connect via SBC, AAC, or LDAC, but current Bluetooth technology only supports two channels. But even with that limitation, the 3D sound still functions considerably well. I have listened to hours of music from my PC, my mobile phone, and even my Bluetooth LP player (the AC/DC ‘Back in Black’ album sounded particularly excellent on these, with every little crackle and pop reproduced perfectly). If I had purchased these headphones solely for the purpose of listening to music, they would have been worth every single penny. But at Scholarly Gamers, we play games; the clue after all is in our name. Gaming is where the 3D audio features truly shine. Whilst it may sound like a gimmick, and you probably think this is nothing new, as games have had positional audio for ages; remember, I am not talking about moving your character/POV within the game. The sounds change dynamically as you move your head. Now for some games this may not sound like a big deal, but take a competitive FPS like Rainbow Six: Siege for example, where pinpointing an enemy in a split-second can make the difference between a win and a loss. Rather than having to move your character to discern which direction they are, you could just slightly turn your head. It takes some getting used to, but it really is a game-changer. Take Hellblade: Senua’s Sacrifice for example, which won several BAFTAs; one of which was for Audio Achievement. The stunning amount of effort and cutting-edge technology that Ninja Theory employed into the audio development of this particular game is amazing, even with a cheap pair of headphones. But playing this game with the Audeze Mobius? I was honestly not prepared for just how ridiculous it was. If you have ever played the game, you can likely imagine. I truly believe that Audeze should use that game to demo their headphones whilst attending conventions, as they pair with each other perfectly. I also played my usual favourites: Destiny 2, Forza Motorsport 7, The Division, Euro Truck Simulator 2, and Remothered: Tormented Fathers. Once again, all amazing experiences. I’ve put a lot of hours into each and every one of these games, but truly heard sounds through the Mobius that I had never heard before; small ambient noises that lesser headphones are unable to reproduce due to their inferior drivers. One of the nicest features of the Mobius is the included sound profiles which can be accessed either by clicking the microphone volume dial in and scrolling, or via the PC software. 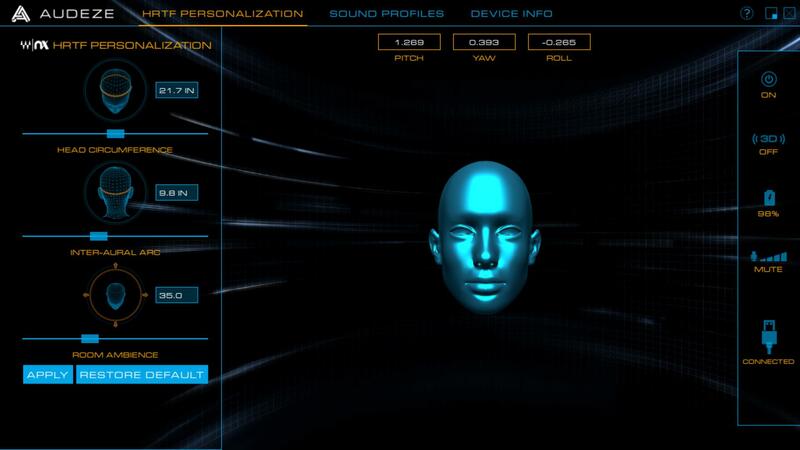 These presets include: Flat, Default, Foot Steps, Ballistics, Music, Racing, and RPG. With each EQ setting designed specifically for a decent spread of games. Quite often with gaming headsets, even from some of the more well-known brands, is that their built-in microphone is mediocre. Without pointing any fingers, you most likely know which brands function relatively well as headphones but have horrendous microphone quality. The Audeze Mobius is certainly not a member of that club. To put this into perspective, regardless of whether I am playing a PC game or a game on console, I sit at my battlestation with my headphones on. For voice communication I of course use Discord, and have been using a USB Condenser Microphone for quite some time. Many content creators, and of course streamers most likely utilise a similar setup to mine. The latest episode of #JungleDrums can serve as a decent reference of the audio quality, notwithstanding of course the degradation due to YouTube’s compression. So for a gaming session earlier this week, I decided to use the built-in microphone on the Audeze Mobius when I connected to Discord. The feedback I received from my friends was certainly not what I was expecting, and honestly has left me with conflicted feelings. It took me a long time to ‘dial-in’ my audio setup, countless hours of fine-tuning settings, positioning, and getting the levels just right. The consensus from my friends was that the microphone on the Mobius — which is detachable, has its own volume dial and mute switch — was significantly clearer than my studio-grade condenser mic. Whilst this is of course fantastic news, and means I will most definitely be teaming the Mobius up with my phone when capturing mobile footage, I honestly did not expect it. Once you factor in the price of a high-quality microphone and boom stand, these headphones quickly become even more of a bargain. The Audeze Mobius is completely plug and play, with USB-C, Analog (3.5 mm) and Bluetooth with AAC / LDAC support allowing you to get the Mobius high fidelity sound experience wherever you go. Mobius is tuned to have frequency response just like the Audeze LCD series of professional headphones, which are considerably much more expensive. There is so much more I could write about the Audeze Mobius, as I feel as if I have barely scratched the surface of what these headphones have to offer; but mere words are not enough. If you get the chance to try these out at a gaming expo or a convention near you, I cannot stress strongly enough that you should definitely give them a try. The only downside is that once you have listened to them, you will most likely be unable to settle for anything less; and your wallet will be $399 lighter. In the Gaming Headset market, there is not a single product that can rival the Audeze Mobius in regards to audio quality. Cost of entry is steeper than what you may be used to, but this price is a steal for planar magnetic drivers. This product was purchased by the reviewer for personal use.